Move over Porsche and Mercedes, there’s a new animal in town, and she’s not the shy type. 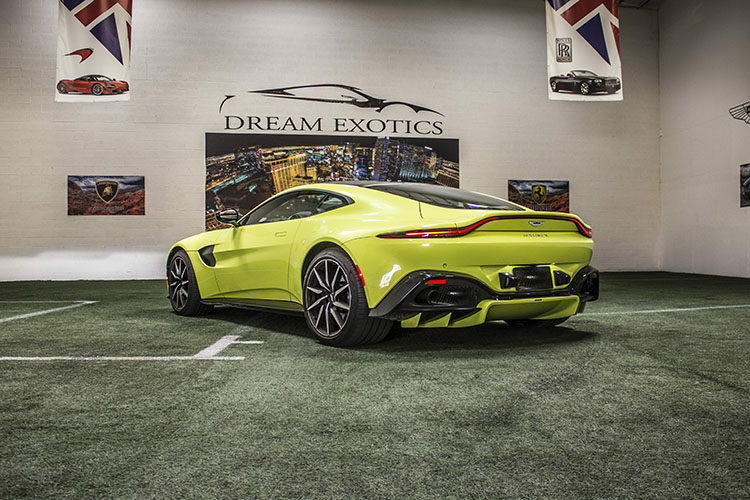 Poised and ready to pounce, the Vantage is like no Aston Martin you’ve driven before. 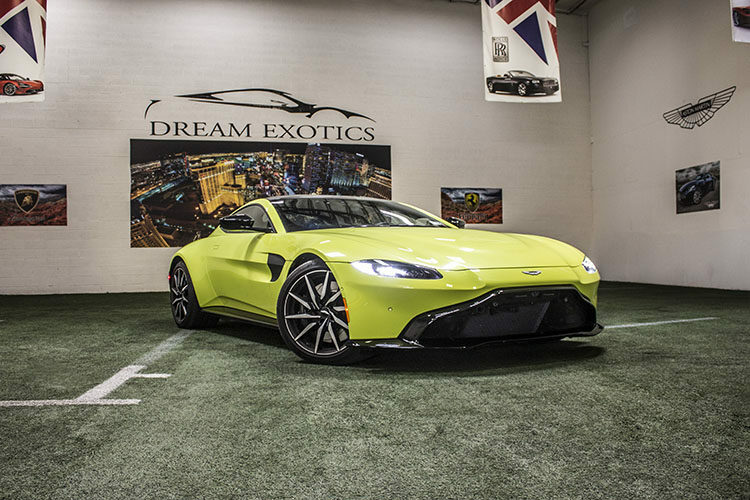 At Dream Exotics in Las Vegas, we’re excited to bring you the chance to rent this high-performance sports car for the driving experience of a lifetime. Why rent any old car when you can take a spin in a finely-tuned, dynamic, and exotic street metal. 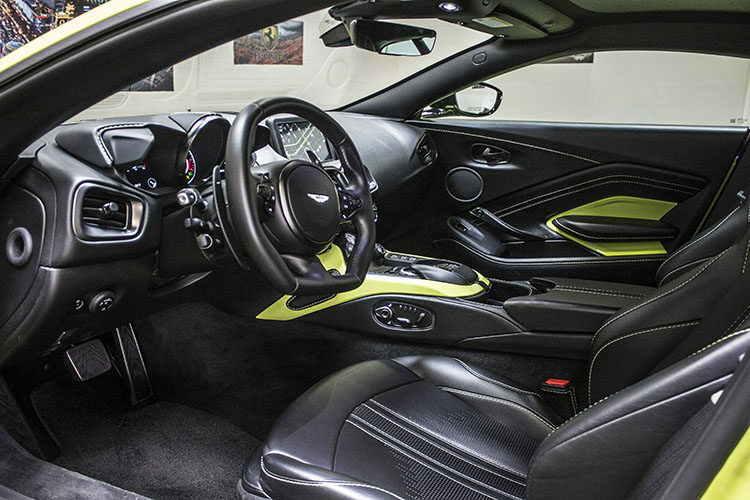 A quick glance at the impressive specs of the new Aston Martin Vantage and it’s not hard to see a sure-fire recipe that will give you an adrenaline rush. 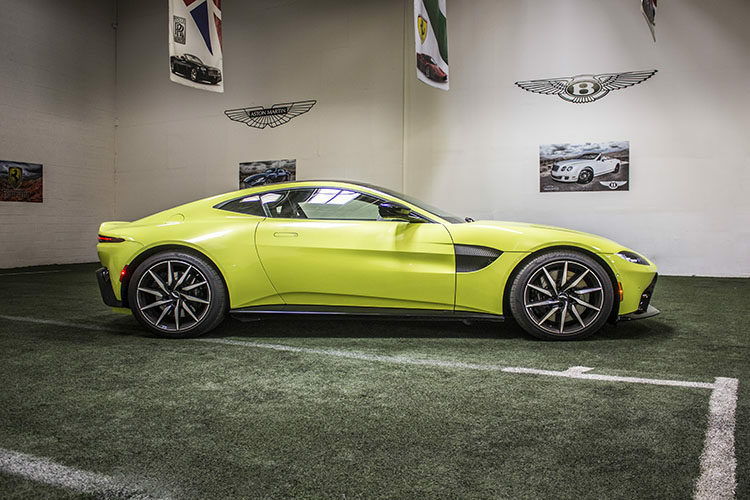 Like a deadly predator ready to strike, the Aston Martin Vantage has looks to kill. Everything about it says energy and sporty. 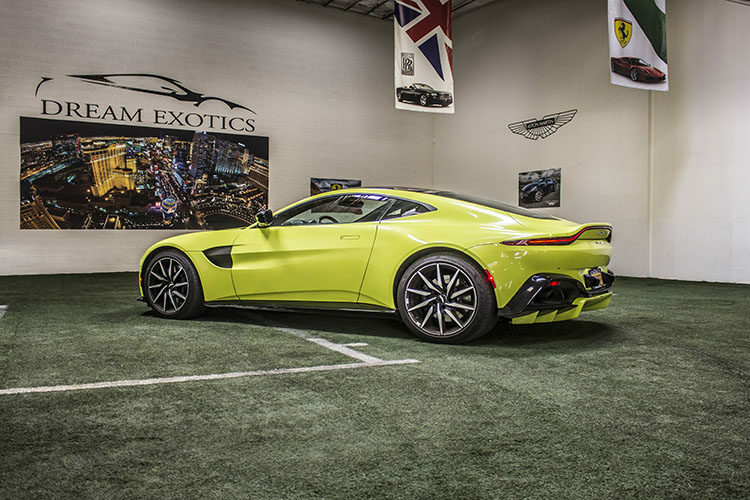 This exotic car rental is for more than just leisurely touring Las Vegas. Every ripple and curve of the Vantage whispers promises of adventure. The ride and handling of this luxury vehicle feel so intuitive and responsive that you might start to wonder who’s driving who. 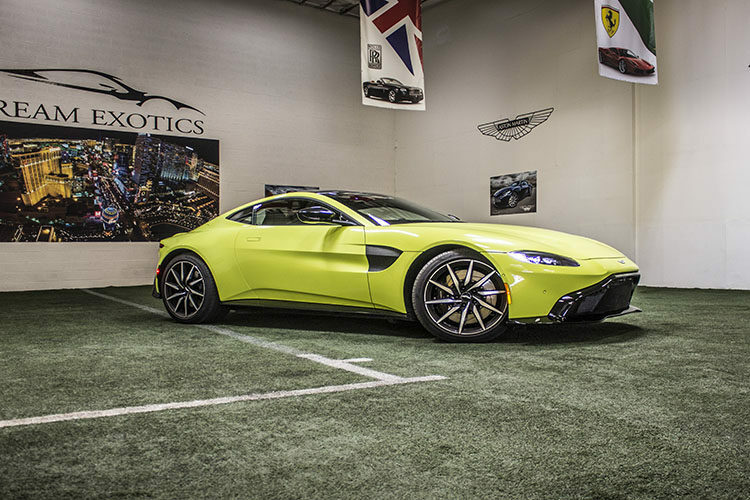 Lithe and agile, elegant and well-designed, the Aston Martin Vantage feels just as smooth on the Vegas strip as it does hugging the curves and riding the hills of our outlying Nevada landscape. 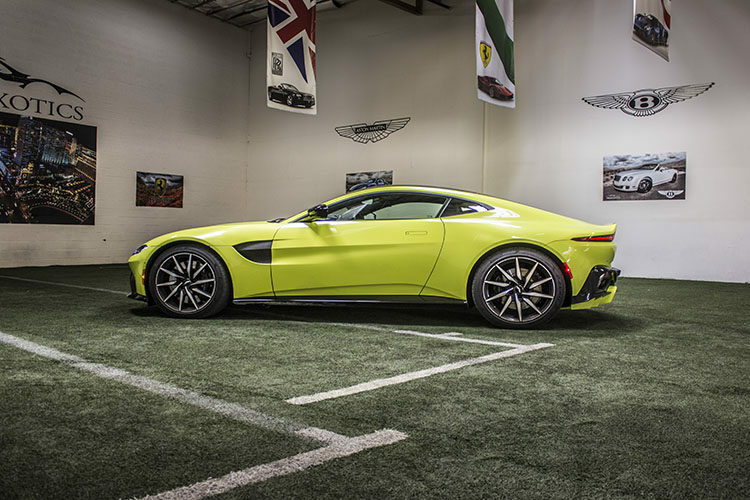 If you’re looking to rent an exotic car that is dressed to impress and filled out in all the places that matter, don’t pass up a chance to rent the Aston Martin Vantage. Call us at Dream Exotics in Las Vegas to reserve your luxury car rental today.